As we Indians are very fond of the ‘cuddling Swift’, same way other people around the world too love it. 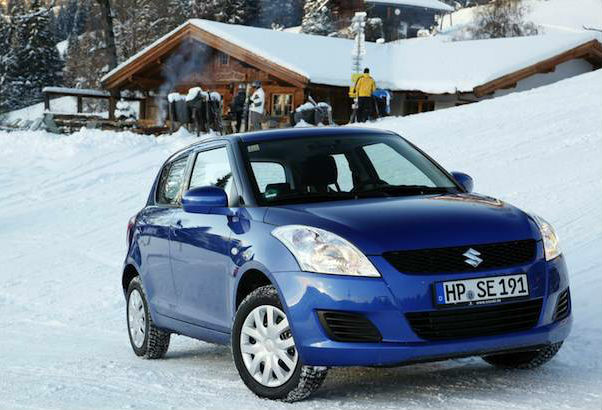 Yes, this time the Suzuki is going out of the context to make Swift more desirable than before. And the automaker is now adding AWD version to the lineup which it will roll out the same by this year itself. Tone down you excitement, this news is not actuated for Indians, but instead the Japanese are heading the AWD Swift to ‘Russia’. However, we all know there is a lot of AWD SUV doing well in the nearby price tags of Swift for us, but there is no market for Indians in which they can avail the AWD version of any hatchback. It is all due to the pricing strategies under which the carmakers are not tempting to roll out the four wheel traction for boot-less sub four meter metals on our local shores. Here, the Russians will get the AWD moniker hatchback in same 1.2liter 94 bhp petrol trim, mated to the five speed manual or four speed automatic gearbox, but the only difference will be of traction, that was previously transferred to front wheels and now it will be hollowed to all the four wheels. It is but obvious that automatic transmission will be costlier than manual so the added comfort too will be comparatively more. Meanwhile, we also learnt Russian specific Swift is done with bundles of features namely heated side mirrors, heated front seats, ABS with EBD, ESP etc. Needless to forget, there is a critical point for selling cars in Russia and that is their ‘spine chilling winter’ season. So the quality of ‘car-heater’ is also looked upon extensively in this specific market where we hope Suzuki is offering the Russians what they had exactly desired. Next PostNext How Ford has Priced EcoSport so Efficiently? Secrets Revealed!